In this article, #WUWorldChanger ~@MarySchaefer recounts her personal experiences of a time that she displayed vulnerability at work and what became of it. My Story of Vulnerability in the Workplace - The Wellness Universe BlogIn this article, WU World Changer Mary Schaefer recounts her personal experiences of a time that she displayed vulnerability at work and what became of it. 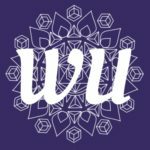 Thank you for your contribution to WU! Loved it!